Iron Horses Can’t Be Broken is the sixth in the Galvanic Century series of steampunk thrillers. Its in the revision and editing phase, and set to be released this September… all it needs is a worthy cover. That’s where you come in. A good cover will more than earn back its commission cost in increased sales. It’s a great investment, but an investment that comes off the front end. You have to be able to afford it before it can benefit you, before any sales come in. For just a $3 pledge you can get the new ebook, or for $15 you get all six books! “The Cogs of Alusura is the first in the Terra Finite trilogy I’ve been planning for a good few years now. It is an action packed, Steampunk, fantasy-adventure, filled with mystery, heroism and love. The book has already gone though several rigorous edits with help from Charlotte Beckett, a former Freelance Copy Proofer. At present it is the best it can possibly be, short of a final professional edit. With the money raised from this project, I intend to get a professional final edit, self publish the book on Amazon Kindle and Feed A Read and self advertise. Shuffle Heroes is a fast-paced card game for 2 players set in a dark fantasy steampunk world filled with Lovecraftian monstrosities. In the game, you draft two heroes with unique abilities and shuffle their cards together – this forms your draw deck. The aim of the game is to defeat enemy heroes either by killing them or wearing them down. You can destroy your opponent’s cards from his deck, so you strongly influence what he will draw in his next shuffle – so-called deck deconstruction. Game is standalone, so you will find everything you need in one box. Game will be done in 3 languages variants: English, German and Czech. My name is Andrew May, I have been working as a freelance sculptor of wargaming figures for the last couple of years and now also run my own miniatures business “Meridian Miniatures”. 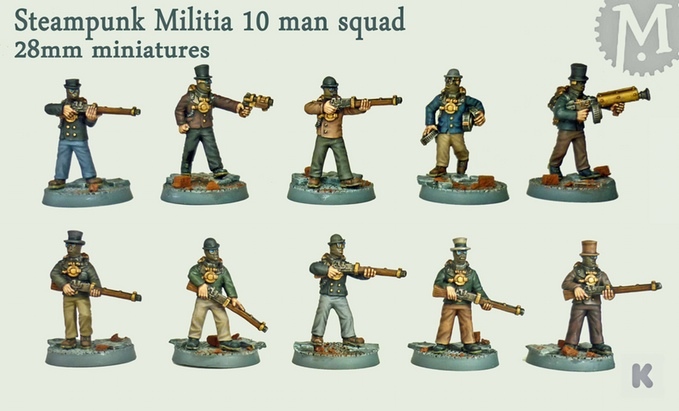 Nearly two years ago I ran my first Kickstarter campaign for a “Steampunk Army” and now comes the follow up “Steampunk Militia” campaign to complement the military figures with their civilian counterparts in the “Steam & Aether” table top setting. 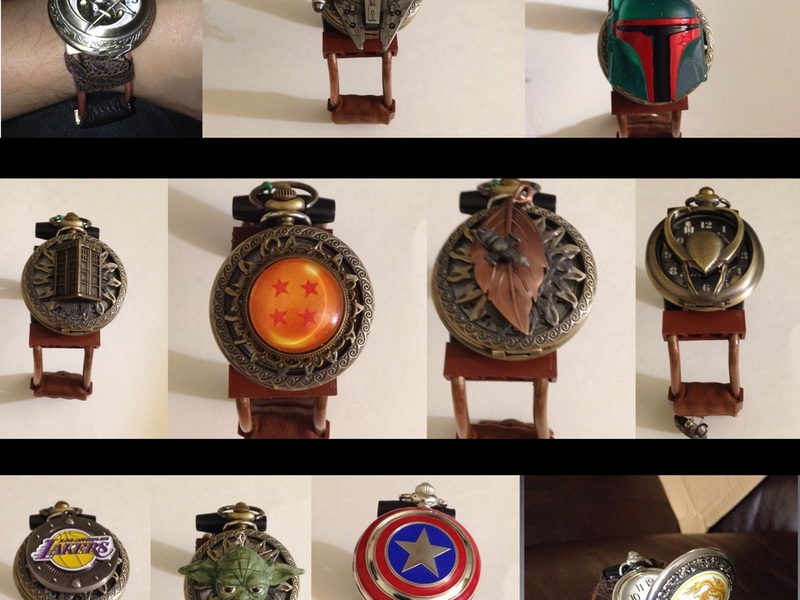 This project originally started because I wanted to create a watch that would fit my Dad’s wrist and make a wrist band that wouldn’t eventually break. I kept buying him watches for Fathers day, Xmas, birthday, etc and he kept breaking them. So I decided to make him a watch with a stronger wristband. The more I thought about it, the more I decided to geek it out a bit, make it classy and I came up with the idea of making it steampunk…. and he loved it. “Hi Everyone! My partner and I are trying to set up a themed shoot revolving around the Steampunk genre. In addition to the Steampunk theme, we’re going to have the ladies do a fashion shoot and bikini shoot with us. This has been a project we’ve been trying to get off the ground for some time now.